Photo Caption: (Fourth from left) AirAsia Group Chief People and Culture Officer Varun Bhatia with AirAsia Allstars at the launch of AirAsia’s new career website in conjunction with AirAsia’s People First Day at RedQ, Sepang. 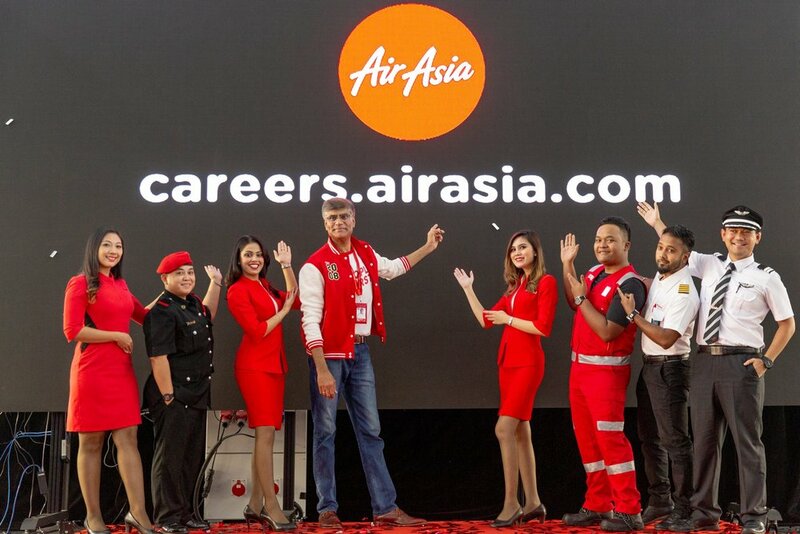 SEPANG, 29 March 2019 - Choosing your next career has never been more exciting, with AirAsia today unveiling a new global careers website. The new site provides quick and easy access to information about the recruitment process, Allstar (staff) testimonials, employee benefits, and a look at the airline’s award-winning culture. Job-seekers will also be able to take a virtual tour of the airline’s iconic global headquarters, RedQ in Malaysia, and explore the many career opportunities on offer with the World’s Best Low-Cost Airline. AirAsia Group Chief People and Culture Officer Varun Bhatia said, “Globally, AirAsia receives more than a million job applications each year, from passionate candidates looking to follow their dreams. The new website was launched as part of AirAsia’s ‘People First Day’, a regionally celebrated showcase of employee wellbeing, technology programs, learning and development initiatives. To embark on an exciting new career at AirAsia, visit: careers.airasia.com.